We all use youtube to watch videos of our interest and when we find something very good or exciting on youtube then we also share it with our friends over social networking sites.But, most of the times , We find only specific part of Youtube video interesting and so want to share only that part.But we have to share the whole video no matter what part of video we want to share. In this post I am going to tell you how you can trim a youtube video and then share the trimmed part or watch it or download it.It is very simple and easy task. A website named Tubechop really made it very simple. First copy the url of youtube video which you want to trim. 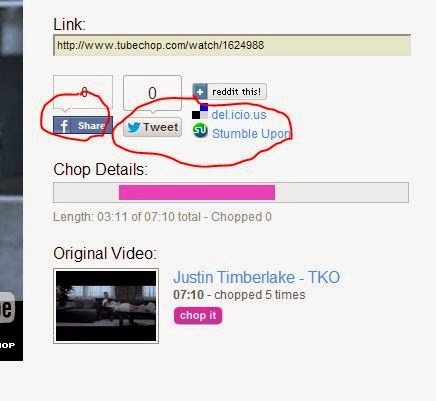 Then go to http://www.tubechop.com/ and paste the copied url in the box provided. It will find your video and you just need to select the part of video that you want to share (with help of start and end markers). 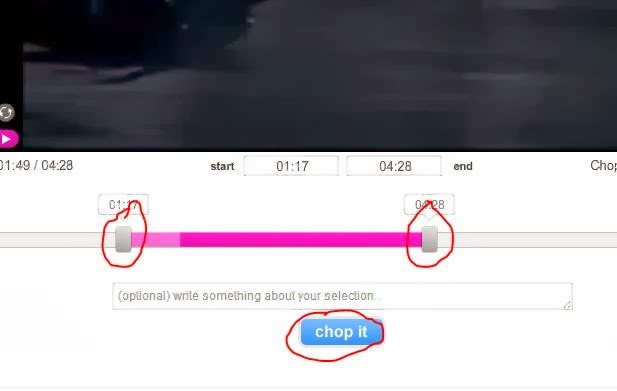 Then select chop it and your video will be trimmed based on your selection.Now you can watch it(you will save some of your data) or downlaod it (with Internet Download Manager) or share it using the options available on Tubechop. So you are able to share only specific part of youtube video that you actually want to share.If you too have any such youtube trick please share it in comment box.